Nicki Nealon finished the league in 2nd place overall and Champion in the FV45 category. Helen Mercer finished the league as Champion in the FV50 category. Trudi Unwin finished the league in 2nd place in the FV40 category. Tina Tosh finished the league in 2nd place in the FV45 category. Rachel Trivett finished the league in 4th place in the FV40 category. Stephen Snow finished the series in 2nd place in the MV45 category. Nick Strange finished the series in 5th place in the MV45 category. Hugh Potter finished the series in 2nd place in the MV55 category. Full individual results can be viewed here. Ladies Vets Team: Division One Champions! 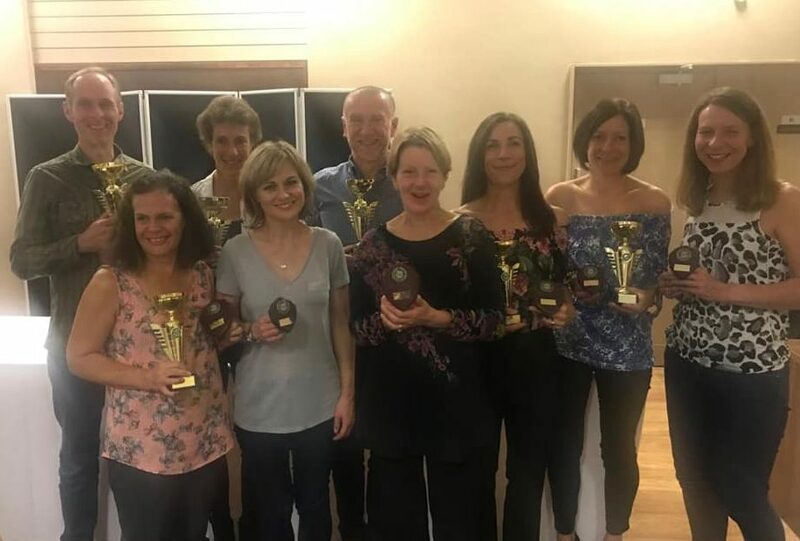 Ladies Vets ‘B’ Team: ‘B’ Division Champions! Full team results can be viewed here. All awards will be presented at the LRRL League Presentation Evening on Friday 5th October 2017 at the Leicestershire County Cricket Club, Grace Road.